She was a very bright student but she stopped going to school after class 6 to support us. She works with us in farm day and night so that her sisters can continue studying. She is our angel. Now she is not even able to stand, she dosen't eat food anymore. Cancer is slowly taking her life, she fears death, she fears leaving us all alone. She has not asked for anything in life, now she pleads to save her from the pain but I'm helpless. "- Lakshman, Malashree’s father. 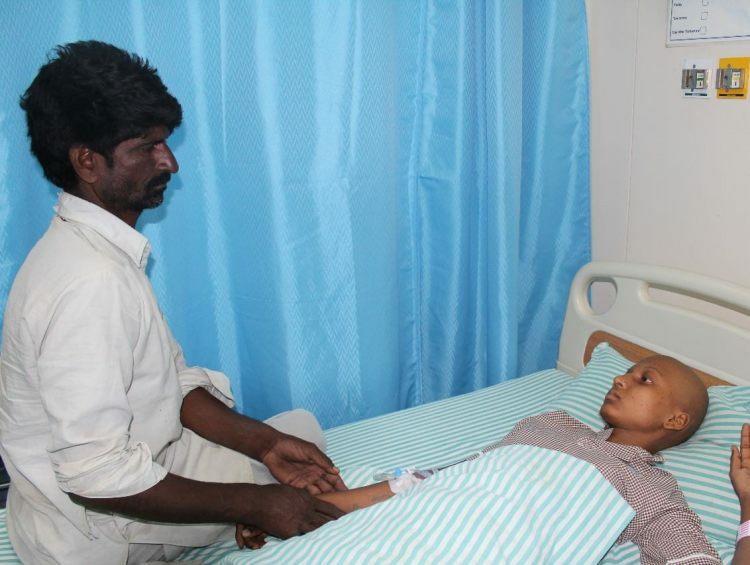 A girl who stood by her parents through the struggle of abject poverty in a remote town, now finds herself on the verge of death, if not for a prolonged treatment. She is less than half the weight normal for a healthy person of her age. 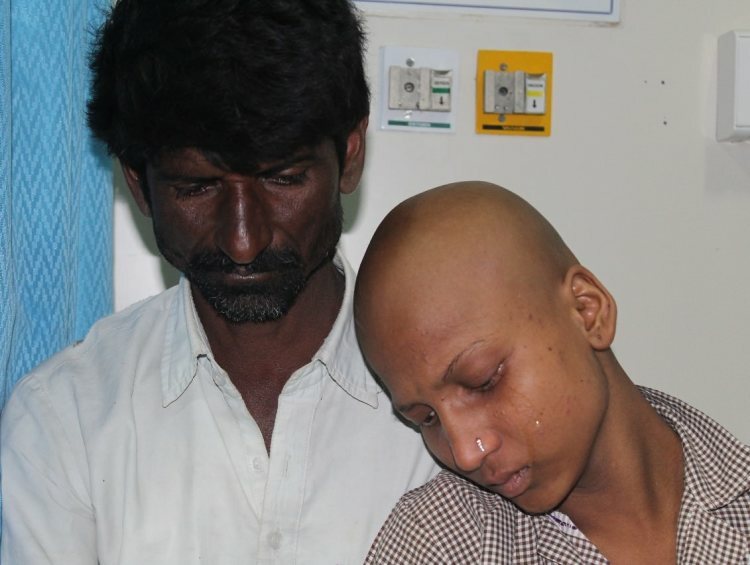 17-year-old Malashree has been diagnosed with Metastatic Ewing’s Sarcoma-a form of bone cancer. 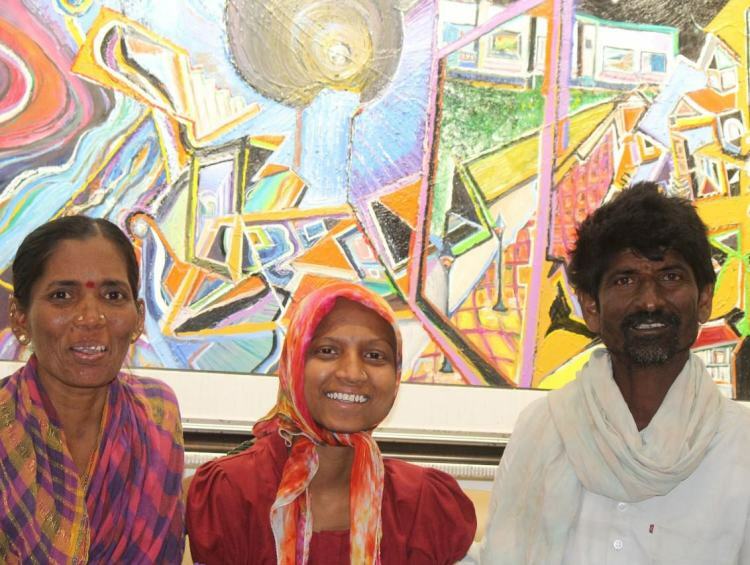 She eats only a few spoons of food at home, and nothing at all at the hospital. Hair Loss has had such a debilitating effect on Malashree that she hates looking at herself in the mirror. While the doctors tell her hair fall is reversible and she won’t be bald for long, she can’t stop her tears when she looks at other girls of her age. When she looks at people walk and run, she hates herself not being able to do the same. For no fault of hers, this seventeen-year-old has to suffer from constant pain, fatigue and sleeplessness. High-dose chemotherapy for the next few years and a reliably positive chance of good response, make stem cell transplant a possibility. Sadly, they have no means to afford. Belonging to a family of farmers from a remote village in North Karnataka, Malashree’s parents survive on less than 200Rs/day. 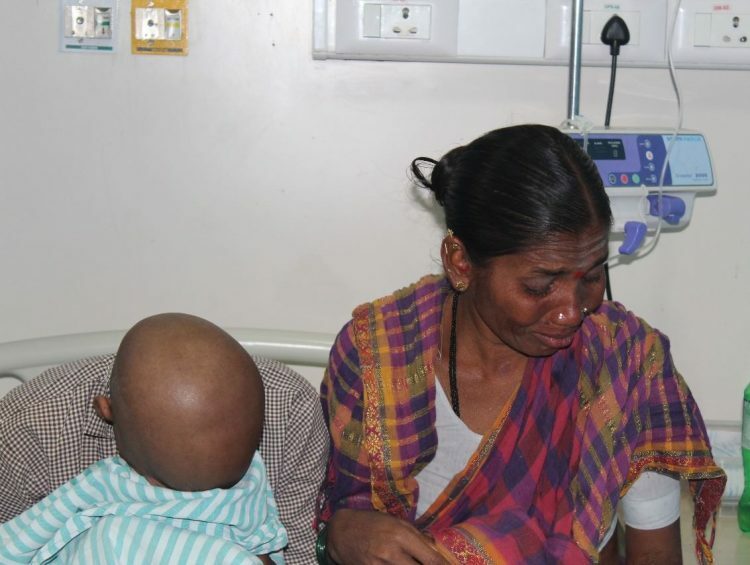 The treatment cost of 15 lakhs, without help, is a bridge too far for Laxman and Gowramma. “This is the first time we are visiting a big city like Bangalore. Sadly for my daughter, her first visit to the city is to get treated for cancer. We’ve rented a small house on the outskirts of the city. After selling everything we’ve had back home, every rupee we spend now is pushing us into debt. 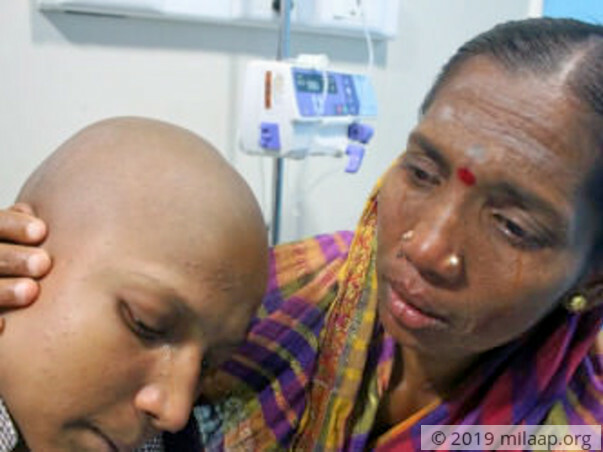 We don’t know what we will do in future, but all that we want for now is to see our daughter cancer-free,” says Gowramma who can’t stop her tears as she looks at her daughter. Reduced to a life of debt and pain, this 17-year-old who works on the farm to help the family sustain needs multiple chemotherapy cycles, followed by a stem cell transplant. 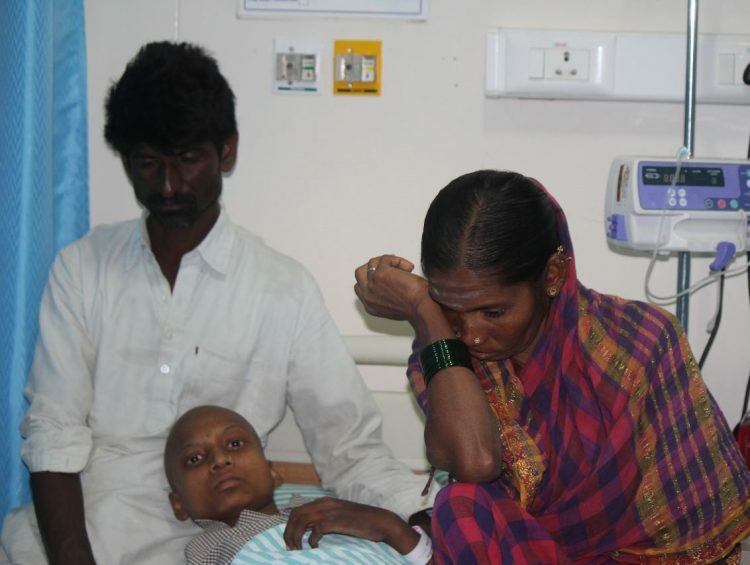 Having spent the little money that they had, this family needs 15 Lakhs to see their daughter survive and beat bone cancer. Thank you so much for your love and support. We have an update on Malashree. She unfortunately could not make it after a hard long battle. Hope the family finds the strength and may her soul rest in peace. Thank you for the wonderful support that you have shown towards Malashree. Here is a quick update on her health. She is undergoing treatment and has been advised to be on palliative care based on her response to the treatment. The funds raised via this campaign have been used towards her treatment and a portion of the funds are still available and we would be using the remaining funds towards other patients in need. Thank you so much for the love and support you have shown Malahsree. 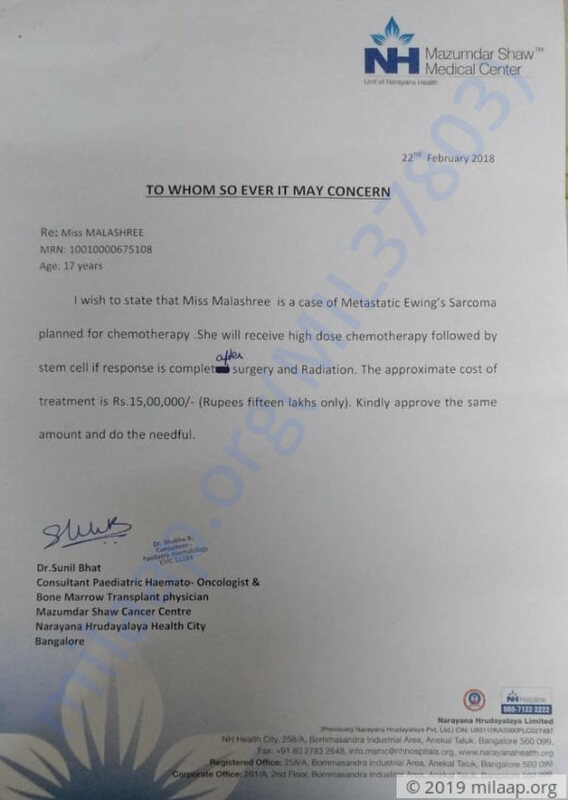 Here is a quick update on Malashree's health. Currently, she is at home and responding well to the treatment. Doctors have prescribed her chemotherapy cycles for almost 36 months. 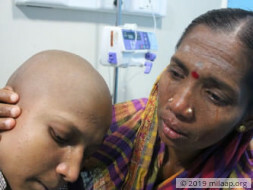 She is facing side effects like body pain and weakness due to the chemotherapy. She is also taking medicines as prescribed by the doctors. Request you to share this campaign so that family can continue the treatment without any hindrance. Be strong . God bless !! !